If you’re anything like me, veggies are a bit hard for you to eat. You know they’re healthy, but you have a hard time choking them down when you want to cut into that steak or chicken breast. Veggies are like the distraction that keep you from the main course, right? Wrong! Veggies are the HEALTHIEST foods on the planet, and you should be looking for ways to eat MORE veggies. Thankfully, juicing for health is one of the best ways to add veggies to your life. You’ll find that adding more fruits and veggies to your health juicing recipes will do wonders for your health, and it will be easy to drink down a glass or three of juice every day. 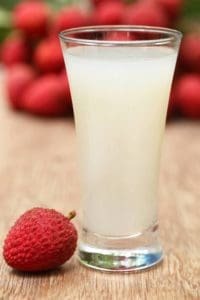 There are lots of awesome healthy juice recipes to try, and you’ll find that they will improve your health in many ways. Thanks to the fiber, antioxidants, minerals, vitamins, and enzymes that you can get from fruits and veggies, you’ll improve your health dramatically with just a few glasses of juice a day! 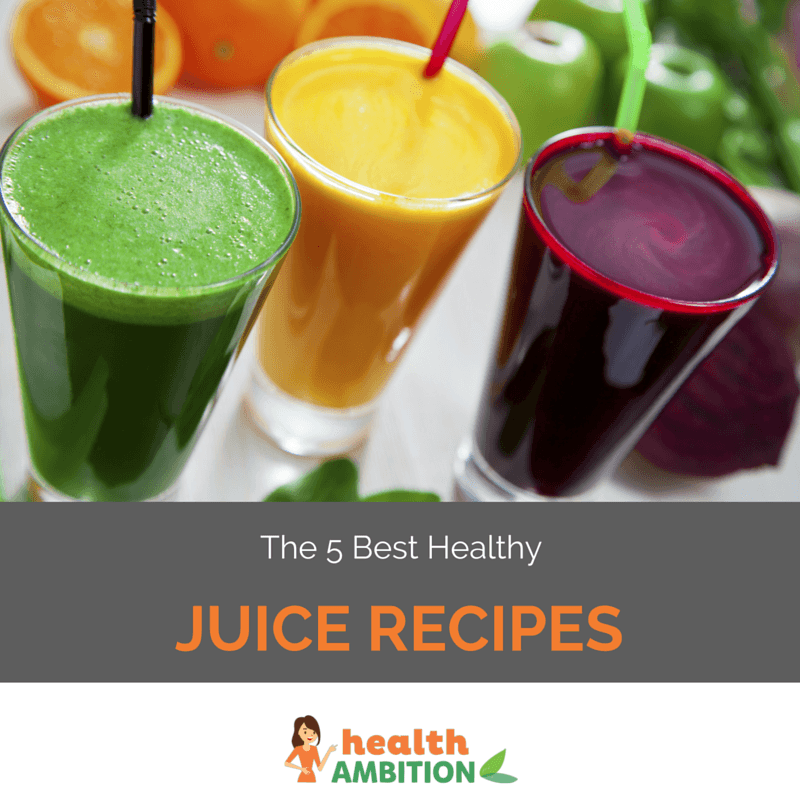 Let us share the best juicing recipes you can find in this post! Operates at a low speed to ensure that the majority of nutrients are retained. Automatic pulp ejection. More than just a juicer. Turns nuts into butter, prepares baby food, extrudes pasta and grinds spices and coffee. Includes a removable filter basket to allow easy cleaning. In addition, it has a powerful, yet quiet, 240 watt motor. A juicer which acts slowly with little heat to help retain healthy enzymes, nutrients, and minerals in the juice. Designed with a three-inch wide feeding chute to allow an entire apple or orange to be juiced without cutting. 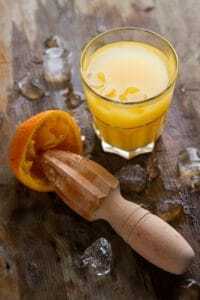 Can Juicing Improve Your Health? Water plays a huge role in your overall health. If you don’t get enough water, you’ll end up dehydrated. Your body begins to slow down when you’re even A LITTLE dehydrated, so adding more liquid to your diet is a good way to keep your body running at top speeds. The dietary fiber in raw foods is important for your digestive health. Juicing may remove the majority of the fiber, but what’s left in the juice will improve the health of your heart, your cardiovascular system, your liver, and your digestive tract. Veggies are loaded with healthy minerals, all of which are supremely important. Potassium is needed for muscle function, calcium is needed for bone health, zinc is needed for a fast metabolism, and iron is needed for healthy circulation. All of these minerals can be found in veggies! Fruits and some vegetables will give you the vitamins you need to be healthy. Vitamin A is needed for eye health, Vitamin C is needed for your immune system, Vitamin E protects your body from oxidative stress, and the B vitamins play a huge role in your metabolism and energy production. Did you know that some veggies contain enzymes that will actually make digestion easier? These enzymes help to break down the food you eat, and promote healthy absorption of nutrients. Thanks to all of these things that you get from a few cups of juice every day, you’ll improve your overall health drastically! Thanks to the high fiber and liquid content of your natural juices, your body is flushed of toxins and free radicals. By getting rid of these harmful substances, you avoid A LOT of serious health problems–including heart disease and cancer. Losing weight is the healthy way to avoid cardiovascular disorders, diabetes, and many other obesity-related health problems. Those juicing for health will usually find that it’s much easier to shed pounds, as the juices prevent hunger pangs without adding too many calories to your diet. Instead of having to suffer through bite after bite of the veggies you don’t like, you can just take a few gulps of a green juice and get all the nutrients you need. Plus, it’s very time-efficient! Who doesn’t love a cold cup of green juice on a hot day? If you are looking for a tasty way to get more fruits and veggies in your diet, there are few more delicious options than making yourself cups of natural green juice. Not only do these juices provide you with calories to burn as energy, but the detoxifying of your body will help to replenish your energy levels. You feel better about yourself after drinking these natural juices! The truth is that juicing is one of the best things that you can do for your overall health! What kind of juicer do you want to be? You enjoy a glass or two of green juice per day, but you’re not too particular about what you put through the juicer. Grab whatever fruits and veggies you can find and grind them up to make a delicious cup of juice. Definitely a good way to improve your overall health! 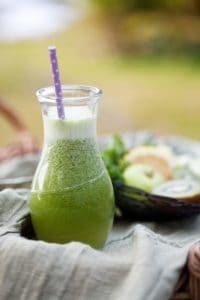 You know everything about the fruits and veggies that you are using, and you’ve learned which combinations of foods make the best healthy green juice recipe. You use juices to supplement your diet, and they’re a major part of your life. You have all the equipment you could possibly need to make natural juices at home. Both types of juicing will help you to improve your overall health, but it’s easier and cheaper to juice casually. If you want to get the best results from your juicing, it’s important that you use more veggies than you do fruits. Why is this? Apples are loaded with natural fiber, as well as nutrients that help control your blood sugar levels and boost digestive health. Cherries are effective immune boosters, and they can help to fight infections and inflammation. Grapefruits boost your metabolism, provide lots of Vitamin C, and are loaded with pectin. Grapes are rich in antioxidants, and contain lots of Vitamins A, B6, C, and folic acid. Blackberries contain tons of phytonutrients and Vitamin K, can reduce your risk of prostate cancer, and feed your body testosterone-producing nutrients. Lemons are one of the best sources of Vitamin C, and can help to detoxify your body. Pomegranates are one of the best natural sources of antioxidants, which help to reduce damage to your vascular system. Papayas are nature’s healing fruit, and they contain an enzyme that can help to reduce swelling. The truth is that fruits are rich in vitamins and antioxidants, so it’s a good idea to include fruits in your green juices. Best of all, fruits are naturally sweet. They contain fructose, a natural form of sugar that is healthy to eat. Fruits should be the sweet base of your juices, giving them the delicious flavor that you enjoy. However, fruits should only play a SMALL part in your green juice. The same sugar that gives them their sweet flavor can lead to high glucose levels, weight gain, and other health issues. If you are juicing for health, it’s important to use more veggies than fruit. Vegetables are very low calorie, meaning they won’t add to your waistline as they improve your overall health. You’ll find that veggies are the best sources of certain minerals, and there are a lot of benefits to adding vegetables to your diet. Broccoli is rich in antioxidants, Vitamins A and C, and folic acid. It’s also an immunity-boosting food! Tomatoes are loaded with the prostate-cancer fighting antioxidant lycopene, not to mention lots of Vitamins A, C, and K.
Brussels sprouts may be a bit smelly, but they’re one of the best sources of the folic acid that pregnant women need. Squash is rich in Vitamin A, Vitamin C, and other nutrients, which makes the veggie capable of fighting off arthritis and asthma, among other problems. Carrots are one of the best sources of Vitamin A, which helps to improve eye and organ health. Spinach is rich in the cardiovascular health-boosting mineral iron, along with folic acid and many other important phytonutrients. Sweet potato contains manganese and iron, along with Vitamins A and C. It’s an effective cancer-fighting food! Bell peppers aren’t just colorful, but the bright red, yellow, and orange coloring comes from antioxidants that improve your overall health. You can see that vegetables are not only lower in calories than fruit, but they’re also richer in nutrients that will improve your health. The majority of your juices should be rich in veggies, with fruit as the base of the flavor! 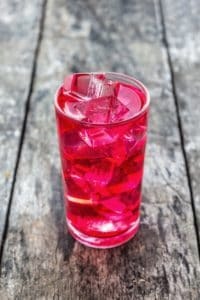 How Should I Juice for Health? These are high-powered juicers that can slice and dice pretty much any vegetable or fruit you want to juice. With blades that spin at upwards of 6,000 RPM, these juicers can produce A LOT of juice in a matter of minutes. However, as a drawback, the high speed juicing causes oxidation of the enzymes and antioxidants. If you don’t drink the juice from a centrifugal juicer right away, you lose most of the important nutrients. These are the “tortoise” of the juicing appliances. 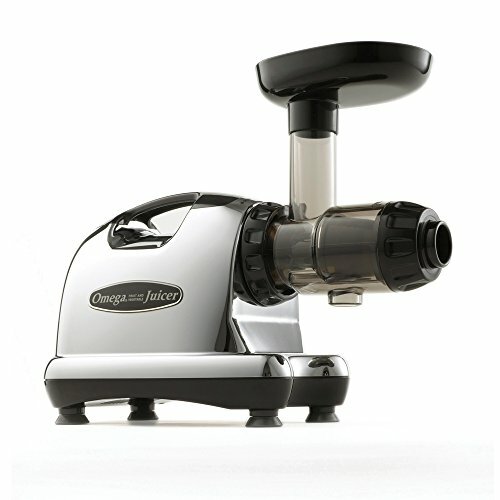 Masticating juicers have augers that spin at roughly 80 RPM, meaning that they slowly crush the fruits rather than slicing them up. A masticating juicer can take up to 20 minutes to fill its 1-liter pitcher, but the quality of the juice is much higher. Not only are ALL the enzymes and antioxidants intact, but there is very little froth and foam left in the juicer. 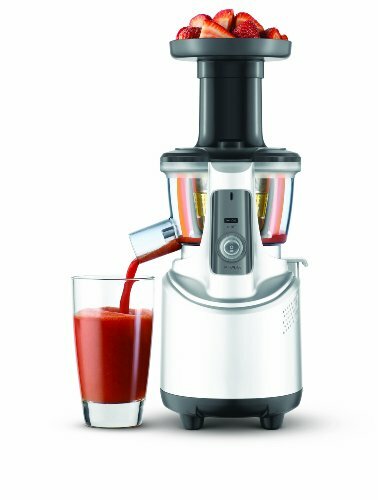 Omega VRT350 — This is one of the best compact juicers on the market, and a nicely affordable one at that. 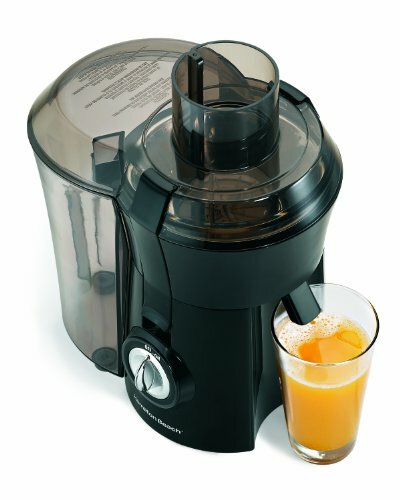 With the Omega VRT350, you get a high-powered, low-speed masticating juicer that can grind anything into a fine juice. It’s a durable machine that will run well, but without taking up too much counter space. Best of all, it’s easy to clean! 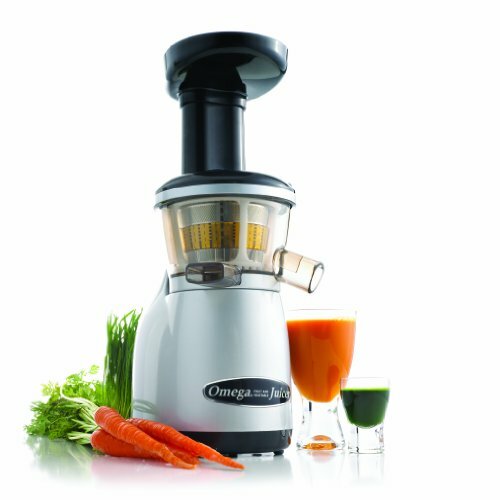 Omega J8006 — This is a powerhouse appliance that gets your juice made surprisingly quickly for a masticating juicer. It’s one of the best juicers we have reviewed on Health Ambition, and you’ll find that it has earned its 5-star rating thanks to its minimal waste, user-friendly operation, and durable design. It may be a bit noisy and pricey, but it’s worth it. Breville BJS600XL — This machine is Breville’s answer to the Omega VRT350, and it’s sold at a slightly marked down price. For fans of Breville appliances, it’s a machine worth its salt, and it will run very well. It can handle soft foods with ease, though it’s best to mix soft foods in with harder foods like beets and carrots. It’s easy to use and clean, and looks great on your kitchen counter. If you’re juicing for a healthy lifestyle, this is going to appeal. It grinds at 80 rpm, which sounds slow, but that’s by design. The slower it juices, the less friction it creates. This reduces the amount of heat in the machine which ensures that the minerals, enzymes, and nutrients do not lose their efficacy. What’s more, this gentle grinding action means that less noise is created—less than 60 decibels. Ensuring that other members of the household are not disturbed, especially if you are juicing early in the morning. The grinding spiral has seven separate segments, which enables the juicer to open up the maximum amount of fruit and yield the most juice. For people who lack patience, this is the perfect blender. 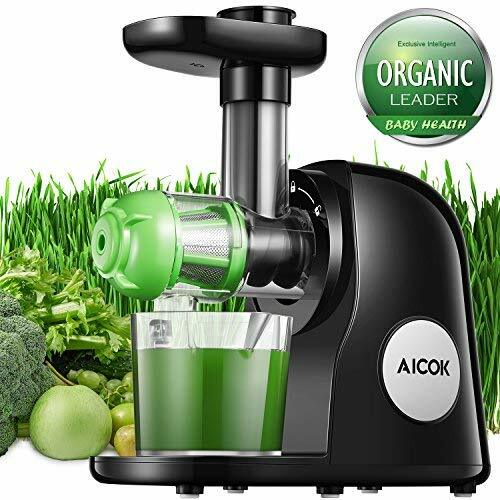 With its powerful 800-watt motor, it creates fresh juice within literally seconds. The “Big Mouth” lives up to its name. The super-wide three-inch feeding chute means whole fruits such as apples or peeled oranges can be inserted into the machine without further slicing. Again, meaning that time is saved and the juice can be enjoyed as fresh and as soon as possible. Juicers are never the easiest pieces of kitchen appliances to clean, but this product makes it simple. All the main components (except the motor) are dishwasher safe. What’s more, the juicer includes a bespoke cleaning brush if you prefer to clean manually. So now you’ve got your juicer, and it’s time to get cracking making your own delicious juices. Here are a few recipes that we’ve found to be EXCELLENT for your overall health! 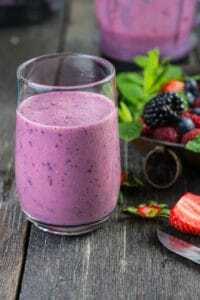 Want a veggie-rich smoothie that will provide you all the nutrients you need for a healthy body? The iron from the kale will improve your circulation, while the pectin from the apples will do wonders to quash those hunger pangs. Best of all, the blending of apple, grape, and cucumber makes this a darn tasty drink! Cut the apple in half and slice out the seeds. Drop the cucumber into the juicer with its peel on, and add kale in with it. Run the apples and grapes through the juicer last. Health facts: Did you know that just SMELLING green apples can help to suppress your hunger? You’d think that sweet strawberries and blueberries don’t mix too well with spinach and carrots, but you’d be wrong! Carrots have a hint of sweetness that blends perfectly with the berries, and the spinach adds that “green” taste you love! The berries are loaded with Vitamin C, and you get lots of eye health-boosting Vitamin A from the carrots. Best of all, the spinach is loaded with iron and folic acid! Health facts: Blueberries contain more antioxidants than ANY other berries – except Acai berries. The mixture of fruits in this juice not only makes it absolutely delicious, but supremely nutritious as well. Both apples and pears are rich in pectin to suppress your hunger pangs, plus a number of awesome antioxidants. The Vitamin C in both the cherries and the oranges will do wonders for your skin, cardiovascular system, and internal organs, and the cherries will help to fight infections. There may not be any greens in this juice, but it’s still a powerhouse drink! To begin, slice the cherries in half in order to remove the pits. Cut the orange into quarters, and remove the peels. Drop the orange quarters into the juicer, along with a small piece of peel (it contains special health-boosting oils!). Cut the pear and apple in half, slice out the cores, and drop them into the juicer. Add the cherries last. Drop a couple of ice cubes into your juice and enjoy! Health fact: Cherries have been proven to be effective at curing all manner of infections, particularly urinary tract infections. Coconut makes an excellent base for this juice, and the natural oils from the coconut meat and milk will make it highly nutritious. Celery gives it that hint of veggie goodness it needs, plus helps to quash your hunger! Run the coconut meat through the juicer, and add the water into the cup. Remove the seeds from the lychees and run them through the juicer. Add the celery last, drop in ice cubes, and drink up. Health facts: Coconut oil is the longest-lasting type of oil, and it will not go rancid for a LONG, LONG time. Need something to drink after a tough workout? The combination of nuts and sweet potatoes gives you an influx of calories, but a lot of nutrients as well. Oranges give this drink its sweet base, making it supremely delicious. Peel the orange, remove the seeds, and run it through the juicer. Run the sweet potato next, and pour the almond milk into your cup. Health facts: Almond milk makes a wonderful alternative to dairy products for those trying to reduce fat and/or eliminate lactose.